Maribel W. Printup, 86, of Jimersontown, New York died Sunday night, September 13, 2015 at Olean General Hospital, following a brief illness. She was born on May 27, 1929 in the town of Cold Spring, New York, on the Allegany Territory of the Seneca Nation. Her parents were Clarence Watt and Nettie (Huff) Watt. She is survived by her two sisters; Rovena Abrams of Jimersontown, NY and Carolyn (Randy) Brant, two brothers, Merle Watt and Milburne Watt of Steamburg, NY. She is predeceased by her sister Ruth Piscitelli of Steamburg, NY and two brothers, Harold Watt, Coldspring, NY and Elwin (Amelia) Watt of Jimersontown, NY. She is survived by many nieces & nephews, great nieces & nephews in addition to a large extended Watt, Huff and Patterson family. Following the Seneca Relocation era due to the Kinzua Dam, Maribel resided in Jimerstown, NY. Maribel was helpful to the Seneca people during the relocation era serving on several Seneca Nation oversite committees that were responsible for helping with guidance throughout this traumatic time. Some of these committees later named Highbanks Campground, Seneca Iroquois National Museum and Seneca Nation Library. During the Kinzua crisis, the Seneca Nation was threatened with termination. During this era she served on the Iroquoia oversight committee that focused on the needs of the community that included cemeteries, economic development, education, housing and relocation, lieu lands and land acquisitions, public facilities, tangibles and intangibles, and recreational development. During this time (1964) she provided assistance developing the Seneca Nation Educational Foundation which she Chaired for 7 years and made it possible for many Senecas to achieve a college education. Maribel graduated in 1946 from Salamanca High School, she continued her education at Jamestown Business College earning a secretarial diploma. She later attended St. Bonaventure University, Allegany, NY earning a Bachelor of Business Administration degree and further received a Masters Degree at Pennsylvania State University at State College, Pa in Education Administration and Post Graduate study at George Washington University. 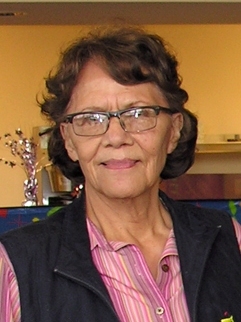 She was selected for and completed a six month Interior Department Manager Development Program with the Bureau of Indian Affairs in Washington D.C.
She retired from the Bureau of Indian Affairs after 27 years of service, beginning in Salamanca, NY, Syracuse, NY and Washington D.C. where she served 400 Tribes across the country. She was elected twice as Tribal Clerk of Seneca Nation; Councilor of Seneca Nation and served as Board Member on the Seneca Gaming Corporation and Seneca Nation Mortgage Program, Museum Board of Trustees. Through serving on several committees, and well thought out strategies, Maribel helped to save the Seneca Nation. Maribel’s legacy belief in education and community involvement, her gentleness, kindness, hard work, devotion to her family and community will live on forever. Friends may call at the O’Rourke & O’Rourke Inc Funeral Home, 25 River Street, Salamanca, New York on Wednesday from 3 – 7 p.m. Private funeral services will be held at the convenience of the family.